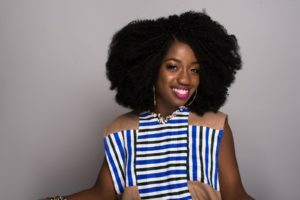 When the Philadelphia-based Founder and CEO of Cocorobics Workshop, Marjo Bona, steps her feet on Sierra Leonean soil in December this year, she will be doing so for the very first time in her life. With joy, she is already yearning to celebrate her next birthday in Freetown not in a fancy hotel or restaurant, but to the sounds of sweet Salone music; eating ‘cassada leaves,’ foofoo and sawa-sawa, some roasted goat meat and fish or chicken on the streets or beaches of the city. Where possible, a trip to Waterloo village for some ‘cassada bread’ and fish is not ruled out. The certified dance trainer and fitness coach hopes to add to retracing her Sierra Leonean heritage while in Freetown, a new word into everyday Salone parlance, Cocorobics. If you are meticulous with words and their meanings, don’t waste your precious time looking for its definition in a dictionary. Her fans call her Coco, and she teaches aerobics. Put Coco and aerobics together, and you will get the exotic name, Cocorobics– now, the brand name of her company. Born to Ola-Bisi Constance Osho- Williams and Jonathan Lagah- Bona some 26 years ago in the United States, Cocorobics embodies all that the lover of Janka Nabay’s ‘Lek u Culture’ song is about. She describes it as an international dance and fitness program with a fusion of dance from different parts of the world, mostly African and it is mixed with aerobics. For her, the choreography program caters to everyone who wants to learn how to dance, burn calories, feel challenged and motivated, meet new people to socialise and stay healthy all at once. Marjo who was inspired by her mum and motivated by her fans to pursue her passion describes her visit as, “a mission to get in touch with her roots and more so, make a difference in people’s lives through entertainment.” She started dancing at a very young age, and her mum encouraged her to pursue her passion. “She allowed me to express myself through creativity, and that was the start for me. The look on people’s faces when I dance and them asking me to teach them inspired me to start Cocorobics,” the Choreographer who seeks to make her talent a life-changing concept revealed. Interestingly, she was not born speaking Krio nor was there pressure from her parents to learn the lingo. “Growing up, I always admired and appreciated everything about my culture. Learning Krio was a must for me. I listened to people speaking the language, practised, sometimes even wrote the words down, and most times using context clues to know what certain words meant,” the now fluent Krio speaker said with a smile. In Freetown this festive season, you will be hearing and seeing more and more of Marjo Bona who has also worked with stars like Emerson, Davido, Wizkid, Mumtaz, Big Joe, Friday the Cellphone Man, Timaya and Olamide, among others. In 2014, she featured as a lead dancer in Davido’s ‘Naughty Video’. In 2016 and 2018, she performed live with Wizkid in the USA. In 2018 also, she performed live with Olamide in the US. Six months after LXG’s ‘Cheer am’ song was released, she did a promotional video of the song that has got over fifty thousand views on YouTube. She is the choreographer, and stage performance director for Tazzy B. The young and supremely talented Marjo will also be working with Yung Sal doing music videos and creative directing. If you are planning on attending the Madeng Festival during the festivities, be on the lookout for Marjo, who has already been hired by a few artists in town for artist performance training. 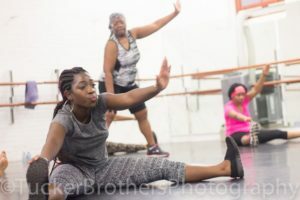 Marjo has also lined up creative directing, dance fitness demos, choreography classes and dance auditions during what she describes as a ‘back to my root visit.’ Interested persons for the free classes will have to sign up. A Meet & Greet is also lined up for December 9 at the Warehouse on Lumley beach (WHERE? In Freetown) beginning at 10: 00 PM. On December 23, Marjo will hold what she dubs the Afrobeat Workout class with Cocorobics at Ocassey’s. On 24 December, she will perform at the LXG musical concert at the National Stadium. “I will also be doing some charity and empowerment events,” the Philadelphia resident who plans to learn how to cook foofoo and sawa- sawa said. For Sierra Leoneans who want to pursue arts, her message is simple, “No matter what you are doing in life, whether big or small, it’s going to take time and sacrifices. There will be roadblocks, but if you push and always crave to better yourself, you will succeed.” She calls on parents to encourage their children, guide and support their dreams. Cocorobics is a fitness and dance craze that is about to usher Sierra Leoneans and probably, the world at large into a new era and 2019. Folks should take this opportunity and join Coco in making aerobics into a truly and uniquely Sierra Leonean trademark manufactured in the US, but out of the ingenuity of a soon to be 27-year-old with Sierra Leonean blood in her veins. Marjo, the Lion Mountain roars in exaltation for your arrival. Sierra Leone is hungry for you. Your sweet motherland awaits you.